Miller explained that, until last year, the Consumer Finance Protection Bureau (CFPB) had been serving a helpful role in monitoring the student loan system by recommending regulations at both the state and federal level. When Seth Frotman resigned as the the CFPB’s Student Loan Ombudsman in August, that potential for regulation went by the wayside. And even before Frotman’s resignation, the Department of Education cut off a lot of their information-sharing with the CFPB. That made matters worse, given that consumer protections like those the CFPB had been tracking are one way to ensure damaging lending tactics and advice stay out of the student loan system. “There’s not enough being done to make sure that, when a borrower calls to say ‘I’m struggling,’ their servicer properly guides them and has the proper incentives to fix that borrower’s problem in a way that sets them up for long-term success,” said Miller, who wrote a New York Times op-ed titled “The Student Debt Problem Is Worse Than We Imagined“ in 2018. When it comes to long-term success, the key lies in holding loan servicers accountable to the borrowers and increasing the amount of government oversight of the loan servicing system. Since 2010, all student loans “have been made directly by the US Department of Education, which means that the Department hires and oversees the contractors who handle the loans,” including Navient. He explained that Navient and companies like it are rewarded by the Department of Education in terms of the number of loans they provide, based on the individual’s status as a borrower. Navient, for example, handles the loans of 12 million borrowers. When any one servicer is handling large numbers of borrowers, the incentive is to work through customer service calls as quickly as possible. In some cases, this leaves a borrower without information that is more applicable to his or her personal loan situation. 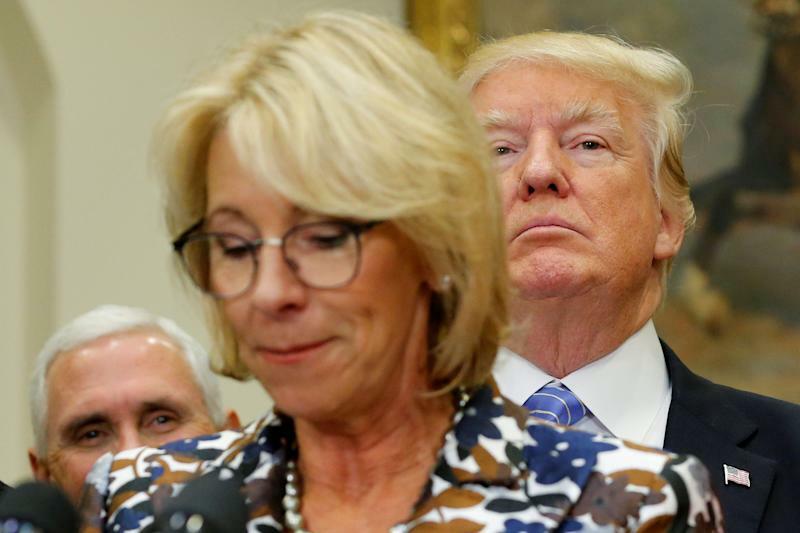 As previously reported by the Associated Press, a Department of Education audit found that loan servicer Navient often recommended forbearance, in which borrowers are “responsible for paying the interest that accrues on all types of federal student loans.” Alternative repayment plans could prevent borrowers from paying more. Deferment, for example, allows the student to forego the interest on certain types of loans. 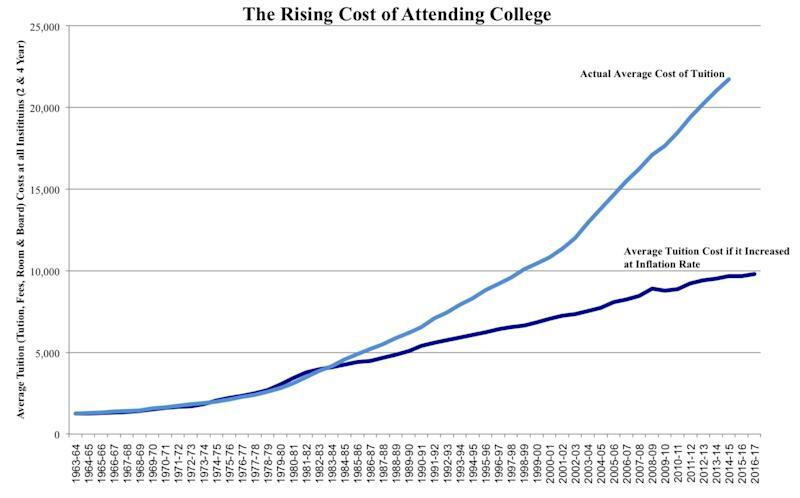 All of this occurred as the cost of higher education ballooned. “If it takes someone 15 minutes to end up putting a borrower in income-based repayment versus 3 minutes to get them into forbearance,” the servicer is going to recommend forbearance in order to reach as many callers as possible, whether or not that individual will benefit the most from that recommendation. Basically, offering forbearance is an immediate fix for what becomes a lifelong problem for many student borrowers. 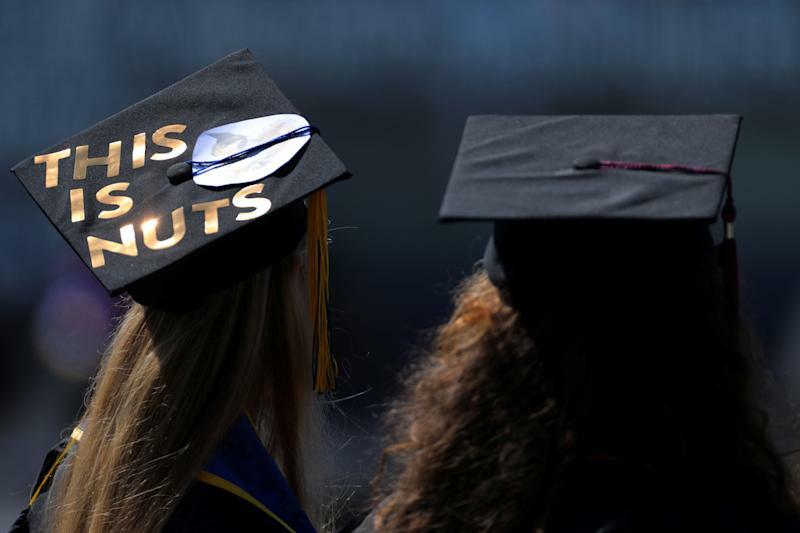 Colleen May, a 24-year-old borrower who graduated with a bachelor’s degree from a Pennsylvania university in 2016, said she was “not made aware that my loans would accumulate interest while in deferment,” and ended up owing more that her initial balance. “A lot of my loans were actually paid off with a store credit card,” May told Yahoo Finance. That’s because the card had an introductory 0% interest rate. “But they were a pain,” she explained, since the credit card payments had to be made before the special interest rate offer ended. Had she only been paying the minimum, May wouldn’t completely pay off her student debt until 2026, a full 10 years after completing her degree. One of the biggest issues within the higher education loan system comes down to one fact: many borrowers shouldn’t be borrowers to begin with. “A major problem that we have with our loan system is that we’ve forced people to borrow that we should have given grant aid to,” Miller said. Figuring out what kind of aid for which a student is qualified creates a lot of confusion, and takes a lot of research to understand — especially considering most Americans begin their undergraduate careers at 18 years old, without ever having dealt with this kind of financial burden before.